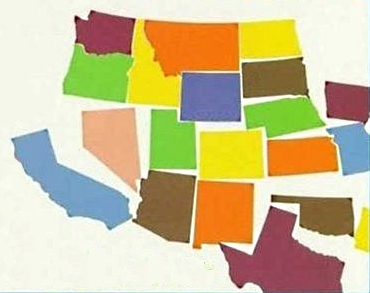 Often the politicians will invoke the “American Dream” in presenting their case for legalization of illegal aliens. Typically they will paint the picture of a hard-working soul, yearning to come to the United States so he can become anything he chooses to become. One would be hard-pressed to find any real evidence of the pursuit of the American Dream among Latin American immigrants, except that they have gladly accepted work paying many times what they could earn back home. In the minds of liberals, it suggests forcing the Ugly American and his evil ways on those who come here from foreign lands. “How dare we tell anyone else how to live?”, they say. They don’t stop for a moment to realize the absurdity of their point. These people have come here because our way of life is better than it was back home. Should we not preserve it? Jacob Vigdor is a Duke University professor who conducted a study of census data in an effort to measure assimilation. He found that not all foreigners assimilate at the same rate and in the same ways. And it wasn’t always a function of wealth or the country of origin. Economic assimilation– Earned income, unemployment, income-by occupation, educational attainment, and home ownership. Cultural assimilation – Speaks English, intermarriage, number of children, and marital status. Civic assimilation – Naturalized citizenship and military service. 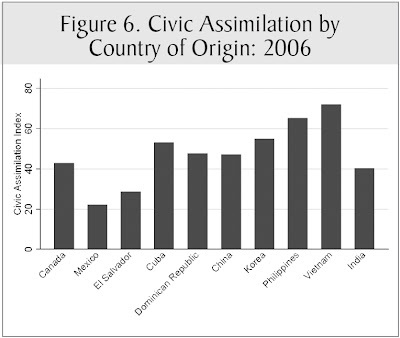 But civic assimilation data (military service and naturalization) reveals that Perla Ramos is a rare example among her countrymen. Mexico lags far behind other source countries in that area. 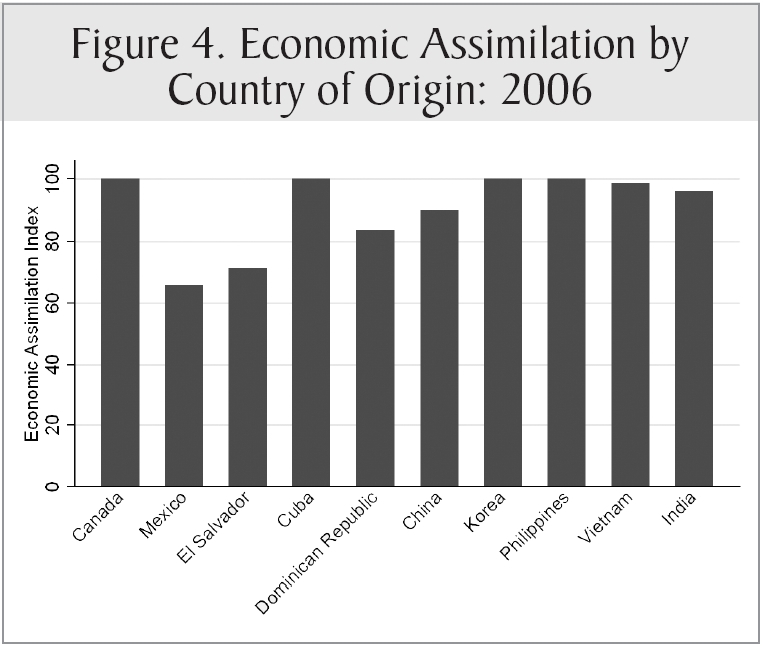 Below are similar charts for economic and cultural assimilation. 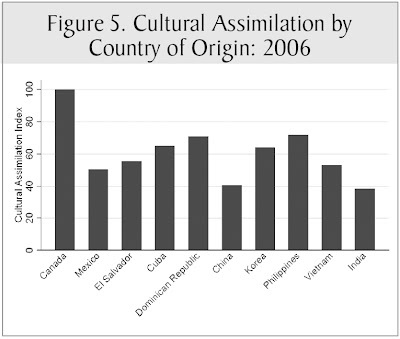 No wonder the left would rather not talk about assimilation! Reason would dictate that we have a serious problem with assimilation and we would do well to curb illegal immigration, enforce the laws in the interior and scale back the sheer numbers of immigrants until we can better assimilate those who are presently here legally.